See scan - perfect condition. 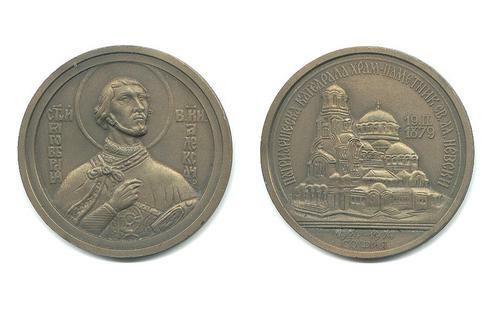 This is a nice and extremely rare Bulgarian socialits / communist era Greek Orthodox Church episcopal medal to commemorate 50 years of the construction and building the largest Balkans Orthodox Church Cathedral - Saint Alexander Nevsky in Sofia in 1924. These orders, medals and other Bulgarian church decorations and awards are extremely scarce from this period as the church was claimed not to be popular by the communist regime and only a few highest ranking members of the church have received decorations. Extremely scarce religion / religious collector piece and one of the rare Bulgarian orders. 1980 Poland 20y Military Army Service medal !